Jordan Spieth is an American professional golfer on the PGA Tour. He is the former world number one in the Official World Golf Ranking. He is a three-time major winner and the 2015 FedEx Cup champion. He is the second youngest golfer to win the Masters and the youngest US Open champion. He turned professional in 2012 and has 14 professional wins to date. He has 1.5 million followers on his Instagram. What is Jordan Spieth Famous For? - Second youngest golfer to win the Masters. - Youngest golfer to win US Open. Where was Jordan Spieth Born? 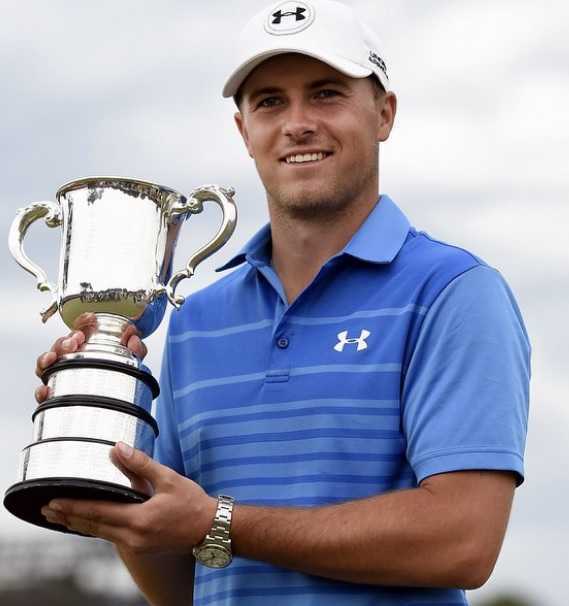 Jordan Spieth was born on 27 July 1993. His birth name is Jordan Alexander Spieth. He was born to a father, Shawn Spieth, and a mother, Mary Christine Spieth. His birth place is in Dallas, Texas in the United States. He holds American nationality. He belongs to White ethnicity. He has two siblings, Steven and Ellie. He attended St. Monica Catholic School. He graduated from Jesuit College Preparatory School in 2011. He learned to play golf at Brookhaven Country Club. He won the US Junior Amateur in 2009 and 2011. He joined Tiger Woods as the tournament's only two-time winners. He was No. 1 in the AJGA Golf Rankings, the best junior golfers in the world. He finished second in the 2008 and 2009 Junior PGA Championship. The American Junior Golf Association named him the Rolex Junior Player of the Year in 2009. He became the first amateur exemption since 1995 to play in the PGA Tour's HP Byron Nelson Championship in 2010. He became the sixth-youngest player to make the cut at a PGA Tour event. He finished the tournament in a tie for 16th place. He was offered another exemption into the tournament in 2011. He again made the cut and finished in a tie or 32nd place. He played college golf at the University of Texas. He was the member of 2011 Walker Cup team. He played in three of the four rounds, halved his foursomes match and won both singles matches. He won three events and led the team in scoring average in his freshman year at Texas. He helped his team win the NCAA championship. He was named to the All-Big 12 Team, Big 12 Freshman of the Year and Player of the Year, and first-team All-American. He earned a spot as an alternate in the US Open in 2012. He tied for 21st and was the low amateur. Patrick Cantlay turned professional in 2012 and he became the number one amateur in the World Amateur Golf Ranking after his performance in the US Open. He failed to advance to the Final Stage of PGA Tour qualifying school in 2012. He turned professional at the age of 19. He partnered with Under Armour for sponsorship in January 2013 and with BioSteel Sports supplements in March 2013. He played in his first tournament in January 2013. He missed the cut by two strokes at the Farmers Insurance Open. He earned special Temporary Member status in March. He won the John Deere Classic on the fifth hole of a three-way, sudden-death playoff against defending champion Zach Johnson and David Hearn in July 2013. He became the fourth youngest PGA Tour winner and the first teenager to do so since Ralph Guldahl won the Santa Monica Open in 1931. He was granted full status as a PGA Tour member and became eligible for FedEx Cup. He tied for fourth place in the Deutsche Bank Championship. He was selected for the United States squad in the 2013 Presidents Cup. He was PGA Tour Rookie of the Year in September 2013. He was ranked at No. 10 on the PGA Tour money list and No. 22 in the OWGR at the end of the 2013 season. He made his Masters debut in April 2014 and became the youngest runner-up in Masters history. He moved into the top 10 in the OWGR for the first time. He became the youngest American to play the 2014 Ryder Cup team since Horton Smith in 1929. He earned his place in the tournament following the PGA Championship. He won his second tournament as a professional at the Emirates Australian Open on the PGA Tour of Australasia in November 2014. He shot a course-record 63 to win the title by six strokes in the final round. He won the Hero World Challenge in Florida in November 2014. He set a new tournament scoring record of 26-under-par. He won the Valspar Championship in March 2015 in a three-way playoff with Patrick Reed and Sean O'Hair. He moved to No. 6 in the OWGR. He moved to the career-high ranking of 4 in the world after finishing runner-up place at the Valero Texas Open. He set a record as the youngest player to lead the Masters after the first round in April 2015 with a shot an opening round 64 to finish the day eight strokes under par with a three-shot lead. He broke the 54-hole record at the Masters shooting a 16-under 200 through three rounds. He won the Masters wire-to-wire making it the first since Raymond Floyd in 1976. He became the second-youngest player to win the Masters. He moved to No. 2 in the OWGR. He won his second major championship, US Open in June 2015. He won the tournament by one stroke over Dustin Johnson and Louis Oosthuizen. He became only the sixth player ever to win the Masters and the US Open in the same year, fourth-youngest player to win multiple major championships, and the youngest winner of the US Open since Bobby Jones in 1923. He shot the lowest round of his professional career to date with a 61 in the 3rd round at the Open Championship in 2015. He eventually won the tournament in a playoff with Tom Gillis. It was Spieth's fourth victory of the year. He finished second behind Jason Day at the 2015 PGA Championship. He became the world number one in the Official World Golf Ranking making him the 18th different golfer to earn the honor. He was the number one for two weeks in August 2015 and one week in September 2015. He won the 2015 Tour Championship at East Lake Golf Club by four strokes. He became the ninth FedEx Cup champion. He regained the world number one ranking. He won the Hyundai Tournament of Champions in early 2016. He matched Tiger Woods for winning seventh PGA Tour event before the age of 23. He suffered one of the biggest collapses in Master's history. He was leading by five strokes, he hit two balls into the water at the par-3 12th hole, carding a quadruple-bogey and dropping him to a tie for fourth, three shots back. He finished second in the tournament. Danny Willett won by three strokes. He declined to be a member of the US golf team at the 2016 Summer Olympics in Rio de Janeiro. He won the Emirates Australian Open on the PGA Tour of Australasia in November 2016. It was his second Emirates Australian Open in three years and 11th of his professional career. He finished third at the SBS Tournament of Champions and Sony Open in 2017. He picked up his first victory of the year winning the AT&T Pebble Beach Pro-Am in February 2017 in his 100th PGA Tour tournament as professional. He became the second person along with Tiger Woods to win nine times on the PGA Tour before the age of 24, post-World War II. He won his third major title, Open Championship at Royal Birkdale in July 2017. With the win, he became the second player after Jack Nicklaus to win three of the four men's golf majors before his 24th birthday. He finished second in the FedEx Cup Playoff in 2017. He helped his US team to defend Presidents Cup title in 2017. He was announced as the PGA Tour's Chairman of the Player Advisory Council in February 2018. He went an entire calendar year 2018 without a victory worldwide. He tied for 4th at the 2019 Genesis Open, tied for 54th at the WGC-Mexico Championship, and a tie for 24th in the WGC-Dell Technologies Match Play. 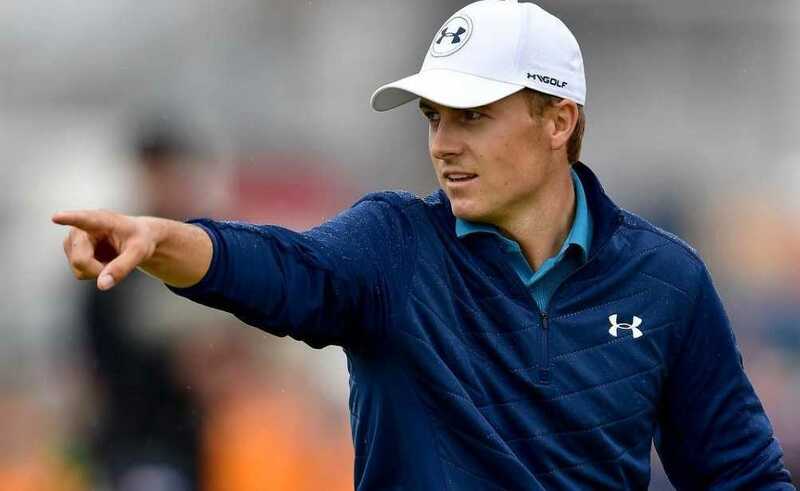 Who is Jordan Spieth married to? Jordan Spieth is a married man. He is married to his long-time girlfriend, Annie Verret. The couple confirmed their engagement in January 2018 and they tied a knot to each other in November 2018 in Dallas. He lives in Dallas, Texas in the United States. What are Jordan Spieth's Body Measurements? Jordan Spieth stands at a height of 1.85 m i.e. 6 feet and 1 inch tall. He has a body weight of 175 lbs i.e. 79 kg. He has an average body build. He has blue eyes and her hair color is blonde. Jordan Spieth earns playing professional golf. He has recorded 14 professional wins to date. He income comes from prize money, endorsements, and sponsorships. He earned $12,030,485 during his prime year in 2015. It was a PGA Tour record for a single year. he also earned 10 million bonus in 2015. As of 2019, his net worth is estimated at $100 million. Time magazine named him to its list of the "100 Most Influential People" 2016. His sister Ellie has grown up with disabilities. His foundation, the Jordan Spieth Family Foundation provides awareness and financial assistance to community organizations within four philanthropic pillars, special need children, military families, and junior golf.